Joel came to BHS in April 2010. While we knew that Joel was multi-talented, we had no idea that this included a green thumb! Last year, in collaboration with his neighbors, Joel planted and has continued to nurture this lovely garden enjoyed by all residents at his Fort Lauderdale complex. Feedback from his friends and neighbors has been wonderful. 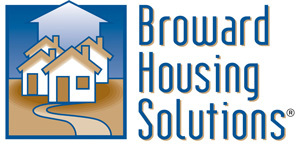 On behalf of our Board of Directors and Team BHS, a big heartfelt THANK YOU for beautifying your home! “Stay Positive, Don’t Ever Give Up” ~ Dekari J. 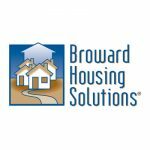 The mission of Broward Housing Solutions®, founded as a 501(c)(3) in 1993, is to provide quality, permanent and affordable housing opportunities to meet the needs of lower income or homeless persons with disabilities who also have a mental illness.